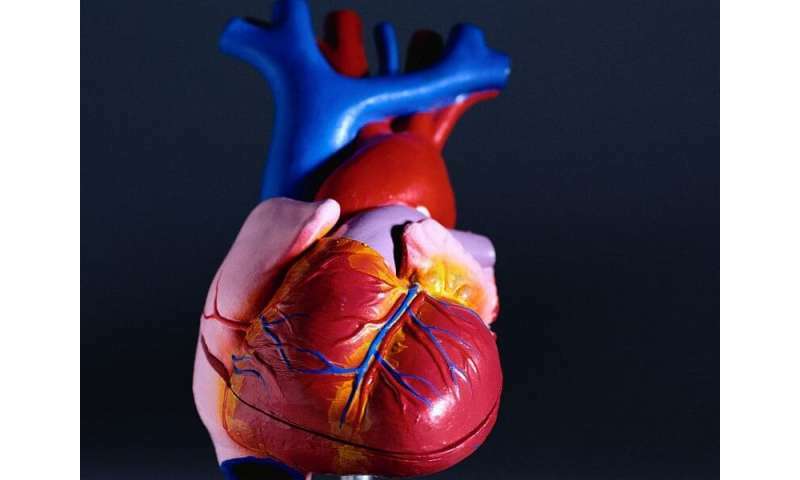 (HealthDay)—The benefits of postconditioning (PostC) balloon inflations in patients with ST-segment-elevation myocardial infarction (STEMI) undergoing percutaneous coronary intervention (PCI) may not be apparent immediately, according to a study recently published in Circulation Research. Jay H. Traverse, M.D., from Abbott Northwestern Hospital in Minneapolis, and colleagues randomly assigned 122 STEMI patients to PostC (four 30-second percutaneous transluminal coronary angioplasty inflations/deflations) plus PCI (65 participants) versus routine PCI (57 participants). All patients had an occluded major epicardial artery with ischemic times between one and six hours with no evidence of preinfarction angina or collateral blood flow. The researchers found that cardiac magnetic resonance imaging (MRI) at two days post-PCI showed no difference between the PostC group and controls for infarct size, myocardial salvage index, or mean left ventricular ejection fraction (LVEF). At 12 months, MRI showed a significant recovery of LVEF in both groups, but PostC patients experienced more favorable remodeling, as measured by left ventricular end-diastolic volume. In addition, PostC patients showed reduced microvascular obstruction (MVO) and significantly less adverse LV remodeling compared with control patients with MVO. There were no significant adverse events associated with the PostC protocol. "Our study suggests that the effectiveness of PostC may not be accurately judged by its acute results and that longer-term imaging and follow-up should be incorporated in future studies, particularly in those patients with MVO," the authors write.